At HiRUM we are proud of the team we have created! To take our service to you, our clients, to even greater heights, meet our newest team members! Makaila is a mum of 3 and has 11 years’ experience in customer service, management and sales. Makaila is the new face (or voice) of HiRUM and will be your first point of call when phoning us. When not busy looking after our valued clients, or our office, most weekends you’ll find Makaila in the pits of the speedway, getting all muddy and helping her partner with his car between races. As a mum however, Makaila’s favourite past time is to watch her little ones ride on their motorbikes. Born in Toowoomba, Trudy has over 21-years’ experience in the Hospitality and Accommodation Industries. 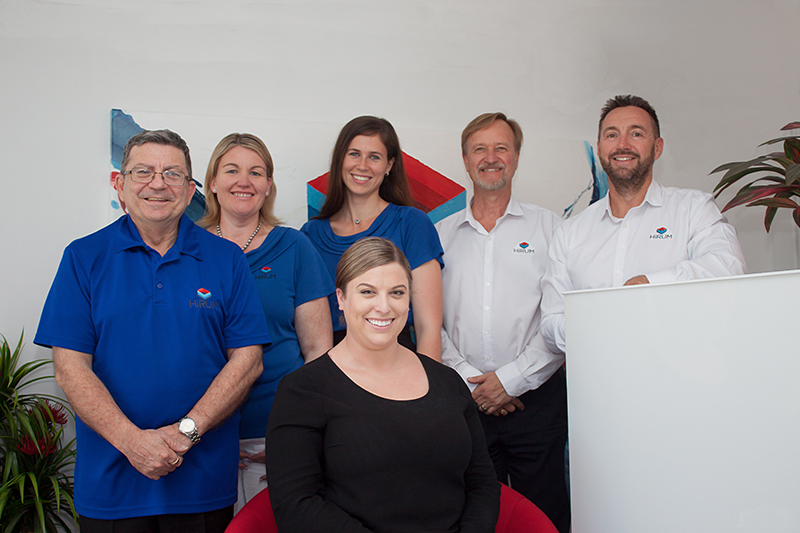 Most recently Trudy operated Management Rights for 12 years on the Gold Coast, using HiRUM, so is well positioned to understand your business. Trudy has also notably worked in Darwin and Kakadu in the Northern Territory, managing hotels. She has also worked for the Northern Territory Tourist Commission. Having spent so much time in Crocodile country, you’d be surprised to know she still loves crocodiles and in-fact has a crocodile garden at home! Russell has over twenty-five years’ experience working in the accommodation industry. Growing up in Far North Qld, Russell started as a porter in a large Cairns CBD hotel in the early 90’s and grew with that property for eight years. Russell moved on to become general manager of a number strata properties with a national/international hotel chain over the next decade. For the past 6 years, Russell has worked for Resort News, connecting accommodation industry professionals with information and businesses to aid them in the successful operation of their accommodation properties. In Russell’s downtime, he loves nothing more than 4wd’ing the beaches and bush of South Queensland. Larry moved from Canada 6 years ago with his ‘Aussie’ wife Bronwyn whom he met in Calgary, Alberta. As General Manager of a small boutique Resort and Spa on Vancouver Island, he found a passion for the resort industry. When he moved to Australia in 2011, he took on Management Rights in Queensland with his wife, on the Gold Coast. Having also spent some time as a relief manager, he learned various software systems in both Holiday and Permanent properties, so he completely understands first-hand how the different systems compare. Whilst Larry loves the accommodation industry, and his wife, his other love is his Harley. Larry & his wife love to tour the Hinterlands with its windy roads and the gorgeous beaches along the coastline. Siobhan hails from the Sunny Gold Coast and has recently graduated from university with a double degree in Marketing & Finance. Siobhan, is loving the challenge of the working world and enjoys putting her theoretical skills into practice. Siobhan is an integral part of the marketing team and is excited by all the new technology HiRUM is bringing to market. In Siobhan’s spare time, she loves to spend time with her partner Jeremy and dog Mia, either going to the beach or on hikes. Travelling also plays a large part in Siobhan’s life, the highlight so far being a 6-month exchange to Canada whilst at uni. She is also an active member of both Toastmasters and Lions Club. Robin grew up in Ipswich and has over 30 years’ experience in IT. Robin found his passion for computers from his love of gaming. He fondly remembers playing the now vintage games Wolfenstein and the original Doom on his 486 DX4 100 computer, which had a whopping 8MB of RAM! Robin is happily married, has 5 children and 3 grandchildren. Apart from being an adoring husband and father, when Robin gets time to relax, he likes nothing more than to read or to watch a good movie. With over 1,200 movies in his collection, I am sure he will not be stuck for choice.